Hello Everyone, Congratulations to all of you for getting accepted. I was also blessed to be accepted in program in the Stamford campus. As of now, I am in the process of getting my health requirements done. Although, I am uncertain where I have to upload that information once I am done. 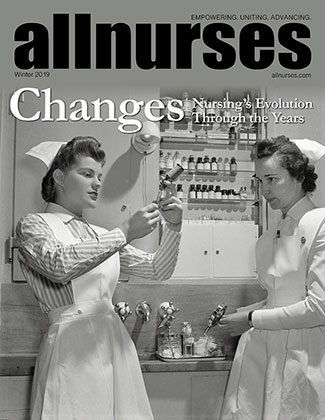 I am using the pdf file that ------------------- sent me (https://nursing.uconn.edu/wp-content/uploads/sites/939/2014/12/Clinical-Rotation-Health-Review-NURS.pdf. ) so I guess that is the document the student is supposed to submit; but as mentioned, I am not sure exactly where. If anyone has done this already (or is in the process of) can you please shed some light on it. I cannot miss a deadline as my acceptance was only provisional since I am taking two of the pre-requisite classes now. So missing a deadline can jeopardize my acceptance status. Anyways, if anyone else is going to the Stamford campus, I will meet you there. Also, since I read all your threat, I discovered the UConn Cein 2019 group--can you add me lol. Thank you and have a good weekend!